Cruise Industry News has released a new report outlining the latest developments in the Chinese and Asia-Pacific cruise markets, the 2019 China Market Report. 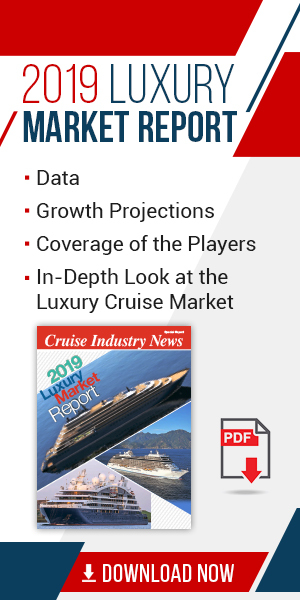 The 118-page report, available here as a PDF download, goes in-depth into China and Asia, including forecasting capacity changes in China as significant supply adjustments take place in a key cruise market. It is the only forward-looking and independently-researched data available on the Chinese cruise market. In addition, there are discussions with leading Chinese travel agents about the updated charter model as well as price trends in the market. Cruise Industry News has also talked to all the major Chinese ports, which are all working on significant infrastructure developments. Plus, there are the latest comments from China State Shipbuilding Corporation about their hopes for the market, as well as China Merchants Group. There are also exclusive analysis and statistics including supply projections through 2027, in addition to a break-down of Asia-Pacific and China by operator and market capacity. Year-by-year market reports on China from 2015 through 2027. Updated data based on original and independent research. Interviews with top executives at major cruise brands operating in the Asia-Pacific and Chinese market, including new Chinese cruise lines. Articles profiling at all major brands and companies in the market. 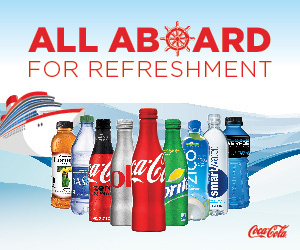 Cruise companies and brands covered: Carnival Corporation, Princess, Costa, Royal Caribbean Cruises China, Royal Caribbean Cruises Asia-Pacific, SkySea, Ctrip, MSC Cruises, Norwegian, Bohai, Diamond, Genting, Star, Dream and others. Discussion of the sales model and pricing, including interviews with major travel agencies that control significant supply in China with the charter sales model. Market data through 2027, showing supply projections and capacity outlook. Key developments for 2019, plus what to expect in 2020 and beyond in China. Port news and infrastructure planning reports, including a map of key Chinese ports. Interviews and updates on 10+ Chinese ports, Hong Kong, plus a number of ports in Japan and South Korea reveal their latest plans. Market capacity breakdown for Asia-Pacific and Chinese markets by cruise line. A look at the current and future Asia-Pacific cruise fleet. Coverage of the Japanese cruise market including its history, present status and future outlook. Interviews with management from Asuka (NYK), Mitsui and Venus. Analysis of the Korean cruise markets. Fully independent reporting and research.